You can hide files on any operating system, but hidden files can be accessed by anyone with access to your PC or its storage. Encryption actually protects your files, preventing people from accessing them without your encryption key. Even if intelligence agencies could bypass this encryption — and we’re pretty sure they can’t — it’s still useful. Encryption can protect sensitive financial, business, and personal data from people with access to your hardware. Windows has built-in BitLocker encryption. BitLocker drive encryptio ncan encrypt your entire Windows system drive or another internal drive. 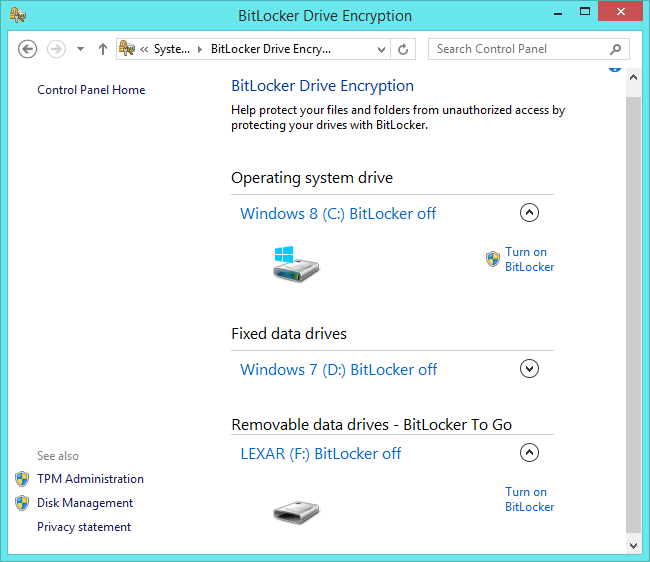 BitLocker To Go can encrypt a USB flash drive or another external media device. BitLocker can also be used with a VHD file, creating an encrypted container file that contains encypted files. BitLockeris only available on Professional, Enterprise, and Ultimate editions of Windows. It’s not available on the standard editions of Windows, like Windows 7 Home or the “core” edition of Windows 8 or 8.1. New Windows 8.1 computers also offer “device encryption”, but this requires specific hardware and the use of a Microsoft account that backs up your encryption key online. This is a very limited encryption feature, but at least it works on every edition of Windows! Since you probably can’t use BitLocker, you’ll need a third-party encryption solution on Windows. TrueCrypt was previously the encryption solution nearly everyone recommended. It offers a variety of encryption methods, so you can encrypt your entire system drive, encrypt a removable drive, or just create an encrypted container to encrypt some specific files. Unfortunately, TrueCrypt’s status is now uncertain. On May 28, 2014, the TrueCrypt project’s website was replaced with a messagesaying TrueCrypt is no longer maintained and is unsafe to use. TrueCrypt’s website recommends you use BitLocker on Windows instead. However, an audit of TrueCrypt’s code has found no serious problems. The Gibson Research Corporation site maintains a page with the final releases of TrueCrypt you can download and use. They argue that it’s safe to use. Is TrueCrypt really safe to use? Well, we don’t really know — there’s a lot of debate and uncertainty here. No other free, open-source encryption tools are as polished on Windows. TrueCrypt was the tool everyone had congregated around. However, you can still use other tools. For example, 7-Zip and other file-archiving tools include built-in encryption. You can use 7-Zip to create an AES-256-encrypted archive file you need a password to open. This solution won’t let you encrypt an entire hard drive, but it will let you encrypt a few files. 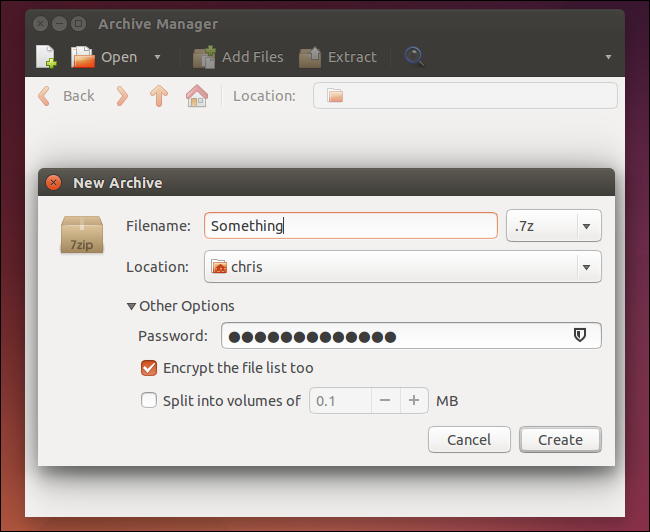 Ubuntu includes built-in support for encryption, and so do many other Linux distributions. Encryption features are available to all Linux users. 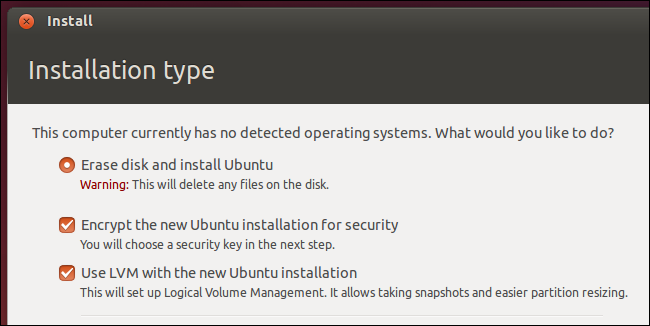 For example, Ubuntu allows you to encrypt your system while installing it. Ubuntu and other GNOME-based Linux distributions also allow you to easily encrypt removable drives with the Disk Utility application. Linux offers many other encryption tools. For example, you can also use encfs to encrypt files in any other folder. 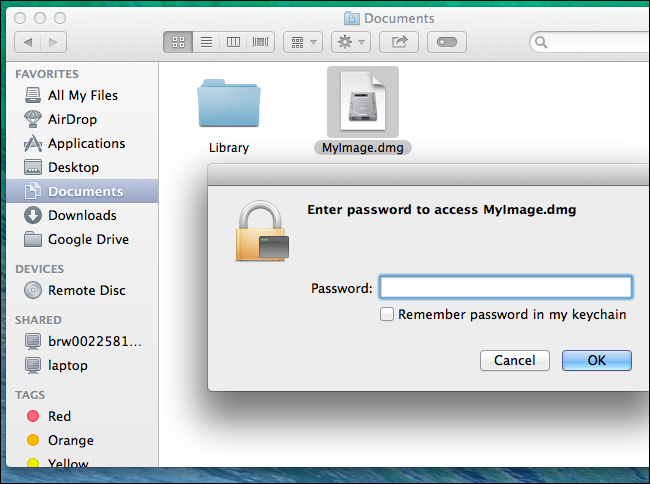 The graphical Archive Manager tool can easily create encrypted archives. The examples here are all for Ubuntu, but these methods are similar on many different Linux distributions and desktop environments. Perform a search to see what encryption tools your Linux distribution of choice includes. Apple’s Mac OS X also includes a variety of built-in encryption features. There aren’t different editions of the Mac OS X desktop with different included software, so these encryption tools are available on every Mac. FileVault allows you to encrypt an entire system drive. You can also quickly encrypt a removable drive from the Finder — you’ll see an encryption password prompt when you plug it into a Mac in the future. The Disk Utility allows you to create an encrypted disk image file you can lock and unlock on demand. All of these features are built-in and can set up and used with a few clicks. Encryption is a complex topic. Whatever encryption scheme you choose to use, be sure to set a strong passphrase. Encrypting your files with a weak passphrase will make them easy to decrypt in the future.